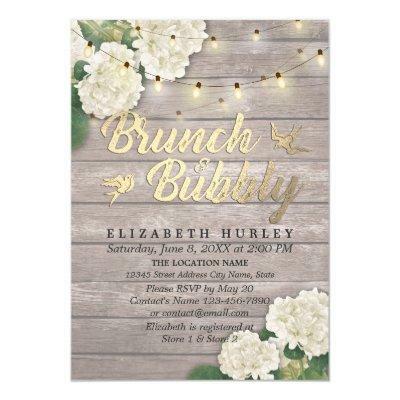 Bridal Shower / Wedding Celebration Invitation Card Templates - Elegant White lovely Watercolor Hydrangea Flowers and String Lights on Rustic Wood Background. A Perfect Design For Your Big Day! All Text Style, Colors, Sizes Can Be Modified To Fit Your Needs.